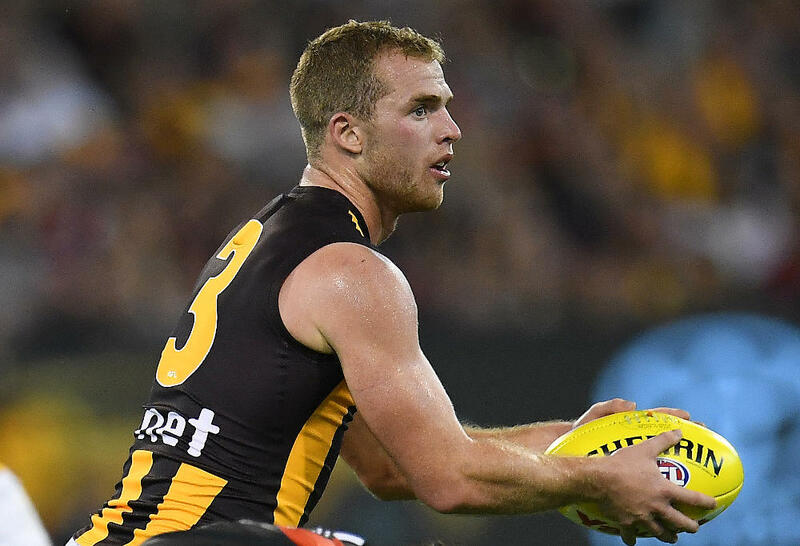 Hawthorn ball magnet Tom Mitchell has set the AFL record for most disposals in a single season and in most encounters during the home-and-away campaign had a serious case of leather poisoning. 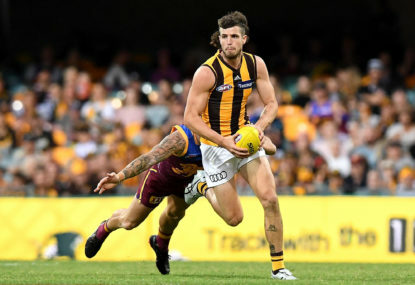 As a consequence Mitchell is the clear favourite for the Charlie with the bookies, with leading long-shots including Patrick Cripps (Carlton), Max Gawn (Melbourne), Dustin Martin (Richmond) and Brodie Grundy (Collingwood). Mitchell’s stat line is remarkable for sure, averaging 35.8 disposals per game, 450-plus metres gained each week, eight clearances, 6.2 tackles and 4.9 inside 50s. He’s had one hell of a season. The one area Mitchell does fall short in is the forward line, kicking just 13 goals this season. Martin in 2017, Dangerfield in 2016 and Fyfe in 2015. We’ve had a run of obvious medal winners. But is Mitchell going to be a case of the same again? Richmond’s Martin was the winner in 2017 with a record-breaking 36-vote haul. Martin chalked up a stunning 11 best-on-ground performances during the home-and-away season, with those three-vote pickups making up the vast majority of his tally. 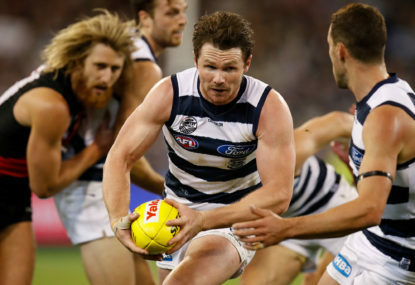 In 2016 it was Geelong’s Patrick Dangerfield, who won the Brownlow Medal with 35 votes and a huge lead over the rest of the league. Dangerfield polled in a record 15 games and recorded nine best-on-grounds, meaning 27 of his 35 votes came from three-vote matches. And so we turn back to Tom Mitchell. In order to win the award we can safely assume he needs somewhere in the vicinity of 30 votes – 10 best-on-grounds, give or take. Mitchell’s bread and butter is high-possession performances, and it’s here that we discover our points of interest. Tom Mitchell has exceeded 40 possessions on 11 occasions in 2018. Hawthorn won just seven of those matches and dropped the other four. As a rule of thumb, let’s assume that Mitchell receives an automatic triple for 40 touches in a winning match and one vote for 40 touches in a loss. 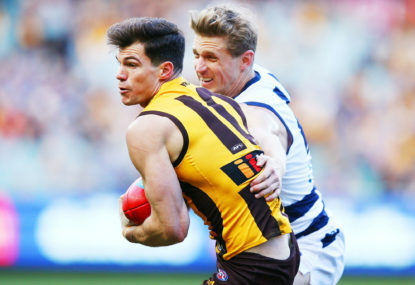 That leaves Mitchell with 28 votes from his 11 best matches of the season – with room for variation of course; it seems unlikely he’ll poll in either loss to Brisbane, for example. How does this compare to Richmond’s Martin? 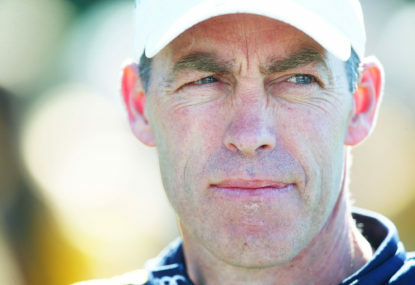 Martin’s impact on the contest has changed dramatically from one year to the next. Last season Martin was Richmond’s bull in the midfield. This season he’s been more focused on offensive impact. Martin leads the AFL in score involvements (190). From 22 games played he averages 25.6 disposals, 450-metres-plus gained, 6.0 inside 50s, 5.5 clearances and a meagre two tackles. Martin has also booted 31 goals. So let’s take a look at Martin’s 11 best games this season. Applying the same formula as before – three votes for best-on-ground in a win, one vote for a strong performance in a loss – what do we get? Richmond’s ladder-leader status certainly helps out Martin here, giving Martin a possible nine three-vote games and just two one-vote losses – and in one of those losses he managed to kick five goals. Surely that might even grab him the two? So let’s say a maximum of 29 votes under the same model. 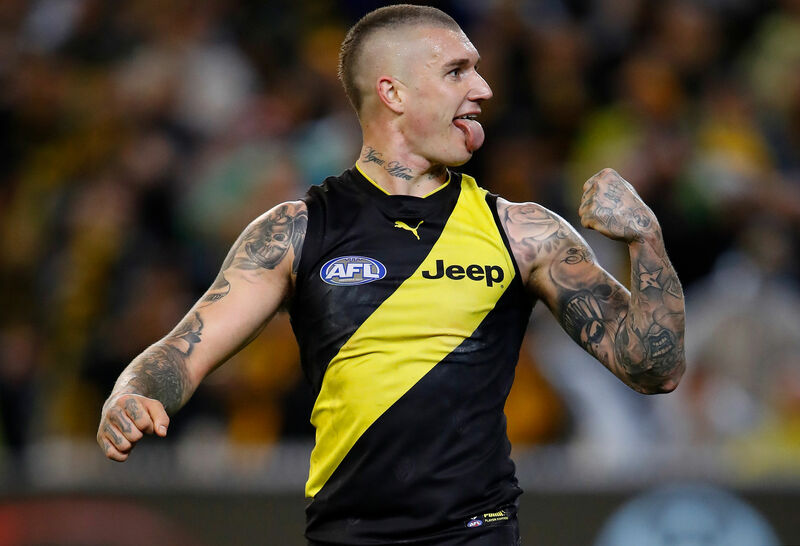 With variation taken into consideration, could it be that we see both Tom Mitchell and Dustin Martin polling in the mid-20s together off their best games this season? Maybe, maybe. Another thing to consider is that it’s no secret the umpires love to vote for goal-kicking midfielders. 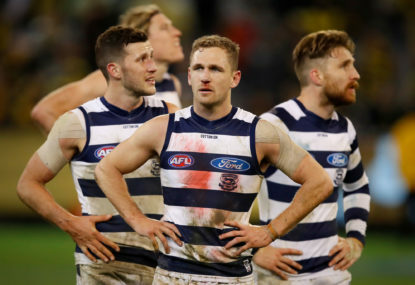 Martin and Dangerfield are the best examples of that in recent years, and if history continues to repeat, it might just be a thing for Hawks supporters and punters alike to worry about. 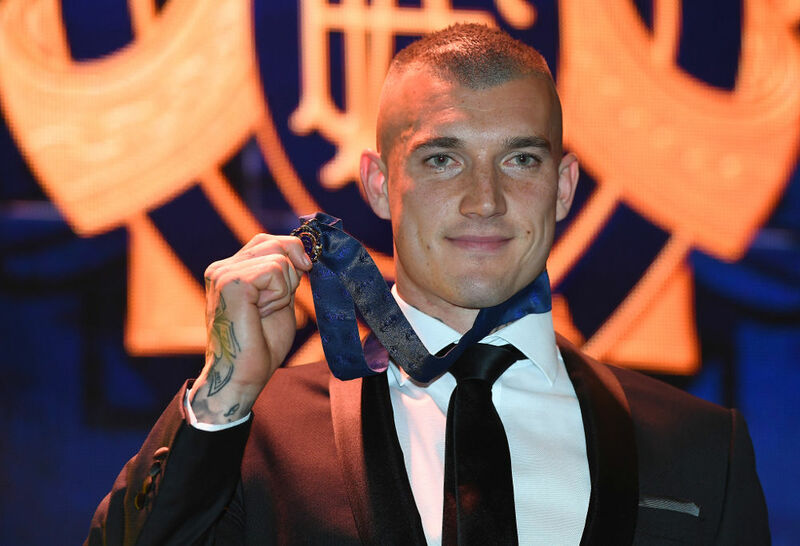 Let’s take a look at every Brownlow Medal winner since 2009. If Mitchell does manage to win the Brownlow Medal in 2018, he’ll be joining a rare strain of players – he’ll be the third-lowest goal-kicking medal winner within the group, leading only Matt Priddis and Sam Mitchell. Martin, meanwhile, will rank in the same rarified air, sitting third with his 31 goals and trailing only himself in 2017 and Dane Swan in 2011. Interesting to consider. With all of the above taken into consideration, clearly Mitchell remains the favourite. But maybe with a more even spread of vote collectors this season compared to years past, it might be a closer race for the Charlie than the world is presently expecting.